Create Embellish Adore: Tassle is worth the hassle! Tassle is worth the hassle! ... maybe worth the thousands of dollars of debt too.. but hey ITS OVER! My baby sister got her Masters! WOOT WOOT!!! She managed this while working full time, supporting a household, and potty training her daughter! Her graduation party was over the weekend. We had gorgeous weather, at a local park, with lots of family, friends, food and fun!!! Almost hard to imagine that it has been one year (to the day) that we put Princeton down, as you may remember HERE. It seemed very fitting for her to receive a solar lantern for her yard, that looks like Prince, a lot like this one here. She loved it. Of course we shed a few tears at the moment, but otherwise it was joyous occasion!!! Now you have to figure out what you want to do as a grown up! 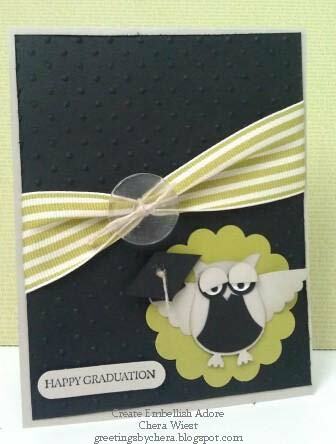 Great graduation card for your sister, what an accomplishment! 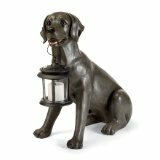 Gorgeous lantern to remember your doggy with.